Replacement cartridge for AquaGuard 7500, removes tastes and odours along with heavy metals. 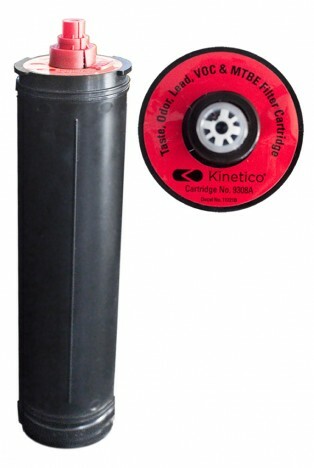 Tested and certified by NSF International against NSF/ANSI Standard 42 in the Kinetico Drinking Water Filter model 7500 with MACguard for reduction of taste, odour, and aesthetic chlorine and to NSF/ANSI Standard 53 for reduction of lead, VOC and MTBE as verified and substantiated by test data. See the performance data sheet for individual contaminants and reduction performance. For conditions of use, health claims certified by the California Dept. of Health Services and replacement parts, see the performance data sheet. California Dept. of Health Services Certification number 00-1425. This cartridge (Part No. 9308A) is designed for the reduction of taste, odour, aesthetic chlorine, lead, volatile organic compounds and MTBE (methyl tertiary butyl ether). 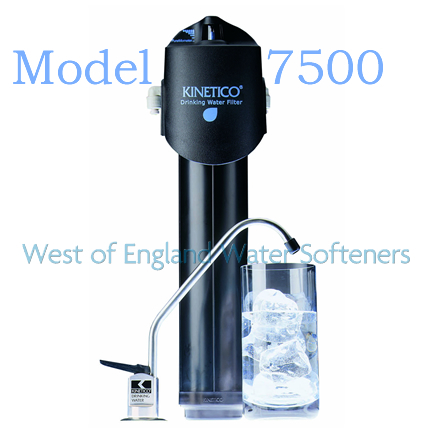 This replacement component is for use exclusively in the Kinetico Drinking Water Filter Model 7500. Conforms to NSF/ANSI 53 for VOC Reduction. See Performance Data Sheet for individual contaminants and reduction performance. 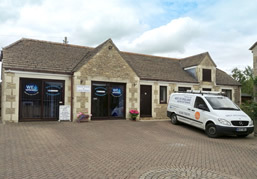 NOTE: The MACguard Filter cartridge automatically shuts off/reduces flow to a fine trickle after 1,892 litres (500 gallons) of water have been processed. Cartridge replacement is required to restore water flow. Installation must comply all applicable laws and regulations.